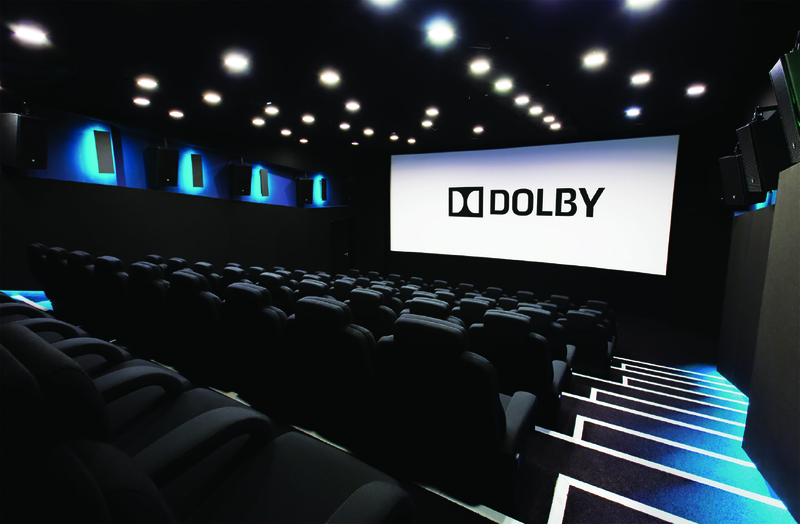 The recently upgraded Ray Dolby Theatre screening room in Dolby’s London HQ is a technological showcase — Jim Slater takes his seat for the performance. 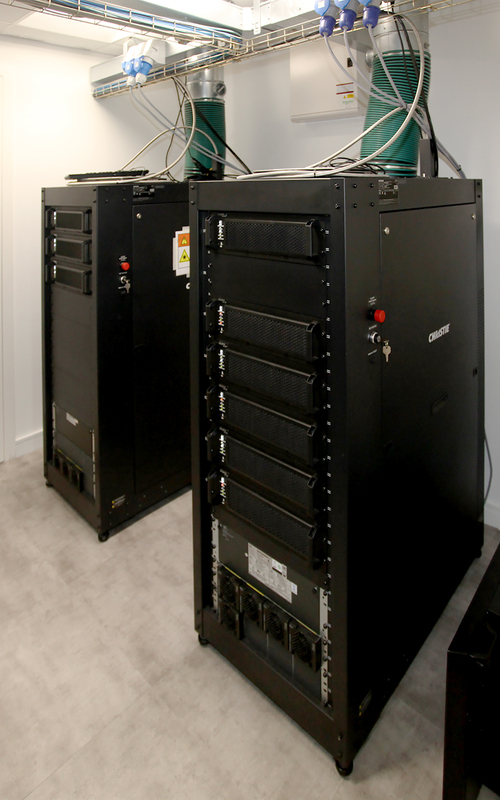 In mid-2012 I attended the opening of the Dolby Atmos Preview Theatre at Dolby at Soho Square, and in the years since I have been privileged to experience numerous film showings there, watching the high-contrast Dolby Vision images accompanied by Atmos sound. I remember coming out of one superb screening saying that ‘all films should be seen like that!’. Though I realise that it would never be practical for all cinemas to provide such wonderful ‘in the dark’ viewing conditions, I’m resolute on the point and, having watched enviously as more than 100 Dolby Cinema screens have been opened around the world — including the latest at Pathé Massy, Paris, in October — I cannot wait for the first commercial Dolby Cinema to open in the UK. In spite of regular attempts to get Dolby staff and various cinema managements to tell me where and when that might be (the largest auditorium in London is due for refurbishment soon…) no such information has been forthcoming. One can only presume negotiations are ongoing! The 67-seat Ray Dolby Theatre, as the Soho preview theatre is named, has proved enormously popular with hirers, both for VIP screenings and for film grading sessions — a few seats can easily be removed to allow a grading desk to be installed quickly in the optimum position. The unity gain flat white micro-perf screen from Harkness is ideal for critical viewing for grading purposes in both 2D and Dolby 3D. It is 7.36 metres wide by 3.1m high in ‘Scope. The original top-class projection equipment included a Christie 4230 4K projector with a 6kW lamp and a 35mm Kinoton FP25 35mm film projector, but as befits a cinema at the top end of technical developments, many changes have been made over the years, including installation of a Christie Eclipse projector. 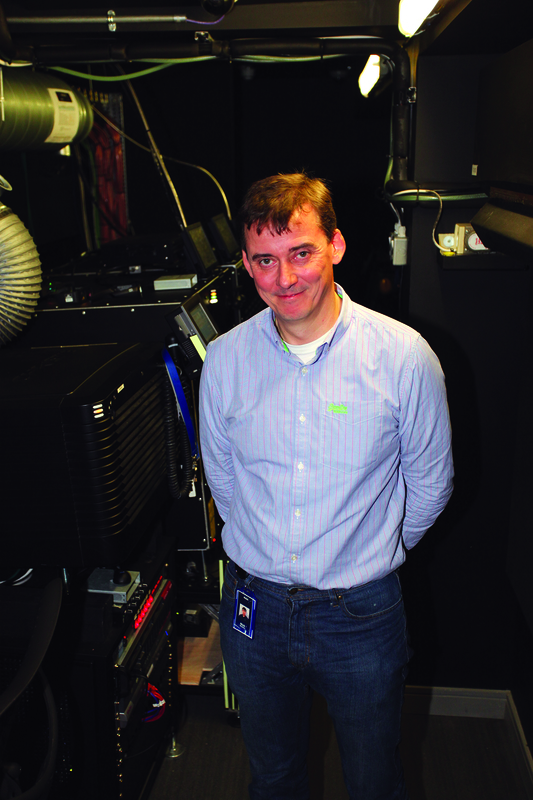 As the development of the Dolby Cinema system matured, the decision was made to bring the preview theatre in line with the latest technical standards, so, earlier in 2017, two Christie Dolby Vision Eclipse E3LH laser projectors were installed alongside the Christie CP4230, capable of providing 6P RGB pictures to the Dolby Cinema brightness standard of 108 nits, (31.5fL) with a contrast ratio of up to 1,000,000:1 and a colour gamut far exceeding P3. They are capable of dealing with high frame rates, including the famed 120fps of Ang Lee’s Billy Lynn. Once you start viewing in the truly dark conditions then you start to notice reflections of light from the screen bouncing back from people and things in the auditorium to the extent that, in this most recent refurbishment, the ‘old’ dark red seats had been replaced by ones with matt-black upholstery. I suggested that this might be taking perfection too far, but Nick Nick Watson, Dolby’s technical director of content relations, assured me that the reduced reflection from the black seats does make a difference. The acoustic fabric on the walls has also been changed to black, but no changes were needed to the Dolby Atmos sound system using 38 JBL speakers individually fed from Crown amps. I refrained from suggesting that they will soon insist the audience wear black, but have noticed on previous occasions that you really can see reflections off people in white shirts in the Dolby Cinema environment. Installing the twin Dolby Vision laser projectors was no mean feat. The long narrow projection room area that had previously housed a single rack of laser modules to feed the single projector just didn’t have room for the new twin laser racks, so they had to get the builders in and create a new room in an adjacent office area that had previously been used for printing. The laser light is fed through to the new projectors via flexible armoured fibre optic cables (they can be seen at the top of the laser rack picture). The arrangement works well because all cooling equipment is now in the ancillary laser room, and the actual laser projector heads don’t need any extra (front) cooling. This makes for a better ambience in the projection room. The projection windows were also extended in width to allow for all three projectors. The theatre was only out of action for a couple of weeks whilst the technical installation was done and the new seats installed. Minimising down-time is important as the theatre is in high demand. Nick had arranged for me to see a series of test clips and trailers, and I headed straight to the best seat in the house — middle middle, of course! Theatre technician James Kershaw sat near me in the auditorium to control everything and make changes as requested, demonstrating just how flexible the control systems are. dark grey screen we have been accepted as black since the start of digital cinema. Then they are put into Dolby Vision mode and the screen becomes properly, truly black, so that the white dot bursts from the screen with brightness. I then saw the Dolby ‘Universe’ trailer which shows off the sound and vision capabilities of the system, followed by clips from films including Miss Peregrine’s Home for Peculiar Children and The Lego Batman Movie, each chosen to illustrate a particular facet of the Dolby Cinema system. Nick highlighted technical details and answered my questions as we watched. The 2D images at 31fL were superb. There really was none of the dreaded speckle to be seen, even on the brightest of peak-white scenes. This has to be down to the excellent flat white screen, of course — in an ideal world, who would watch cinema on anything else? The increased brightness in Dolby 3D (14fL) made for first-class stereoscopic viewing, and the lack of ghosting from the 6P Dolby 3D spectral separation system is far better than typical polarised offerings that I see. The Ray Dolby Theatre isn’t meant to be a complete Dolby Cinema — it doesn’t have the public entrance corridors with dynamic audio/video pathway. There’s no projection wall showing floor-to-ceiling video with enveloping sounds pulling you towards the auditorium. But it provides the best possible technical environment for watching movies both critically and for pleasure, as well as acting as the best possible workshop providing for film audio and vision grading. Nick assured me Dolby’s intention is to keep on developing this facility to cope with future developments. And my final opinion? All movies should be seen this way!